Pull out the stops with these easy pumpkin decorations that would make Linus happy. 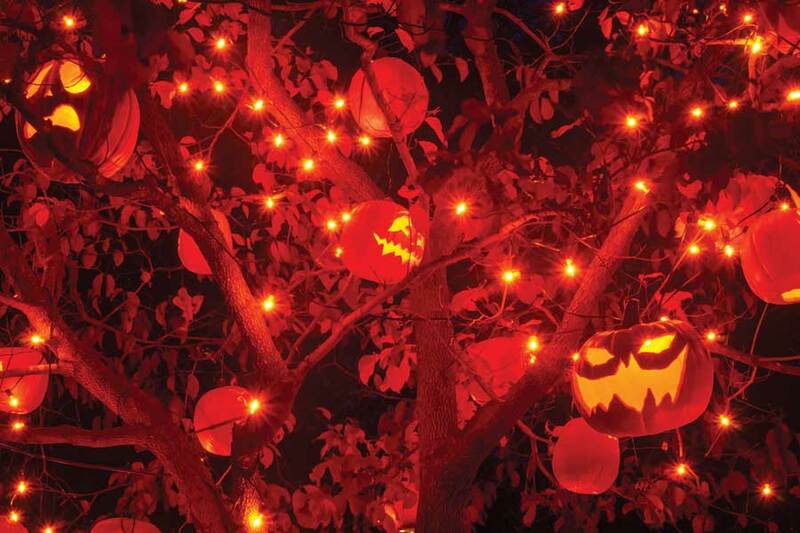 Hang scary gourds in a tree and lace string lights through them. 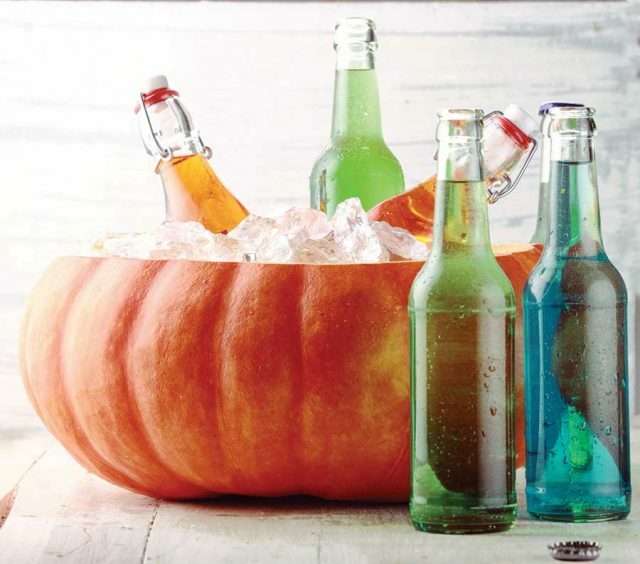 You don’t have to be a Peter Peter Pumpkin Eater to see that pumpkins make perfect serving dishes for beverages, soups, dips, puddings and more. Be sure to wash the pumpkin and scoop it out thoroughly. If you don’t want pumpkin to flavor your dish, line the gourd with plastic wrap or foil, or place a bowl inside it. 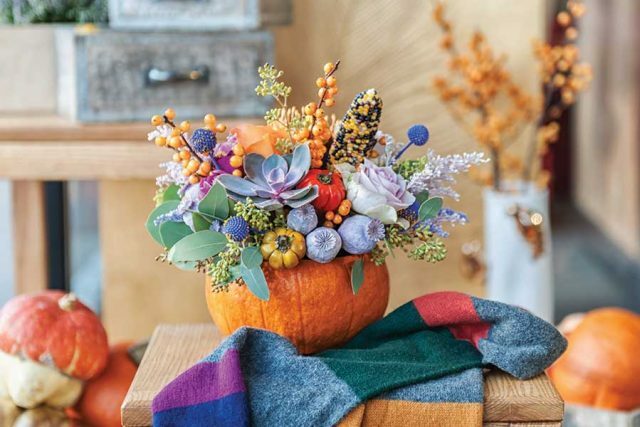 Fashion a floral arrangement by displaying flowers in a pumpkin vase. Include autumnal accents—flint corn, ornamental eggplants and autumn berries—to give it fall flavor, and toss in a few trendy succulents. Put a bowl inside to hold the water, or line the pumpkin with foil. Broken crayons find a new purpose in this fun fall décor project. 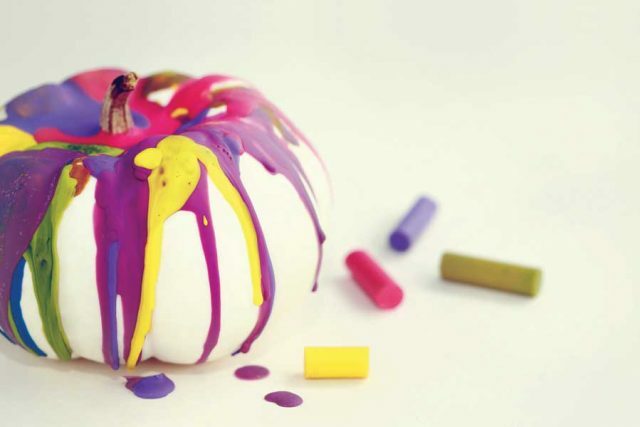 Glue crayon pieces around the top of a pumpkin and use a hair dryer to melt the wax and create a colorful masterpiece. Add extra glam with glitter or plastic jewels. Hosting a dinner party? Cover a pumpkin with chalkboard paint and use chalkboard makers to announce the dinner specials on this festive display. 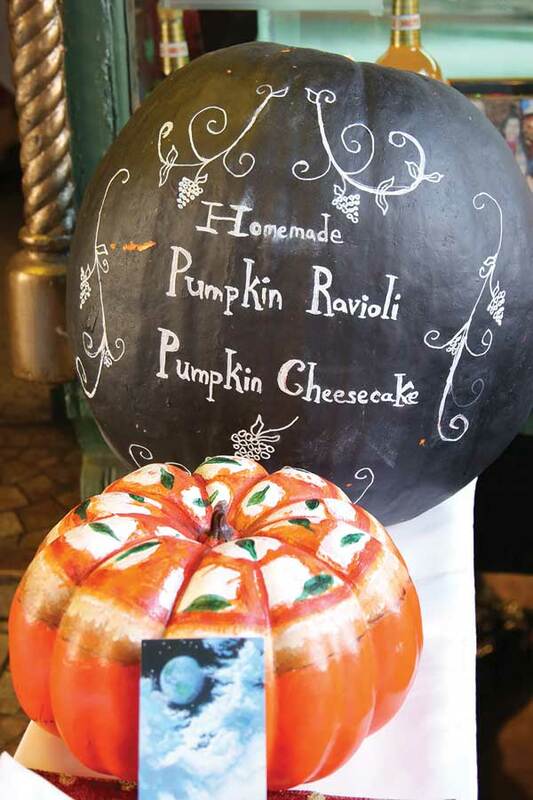 If you’re dining buffet-style, use smaller pumpkins to label each dish. Mini pumpkins and flowers look elegant on trays that can accent coffee tables, mantels or any space in your home that needs a festive flair. 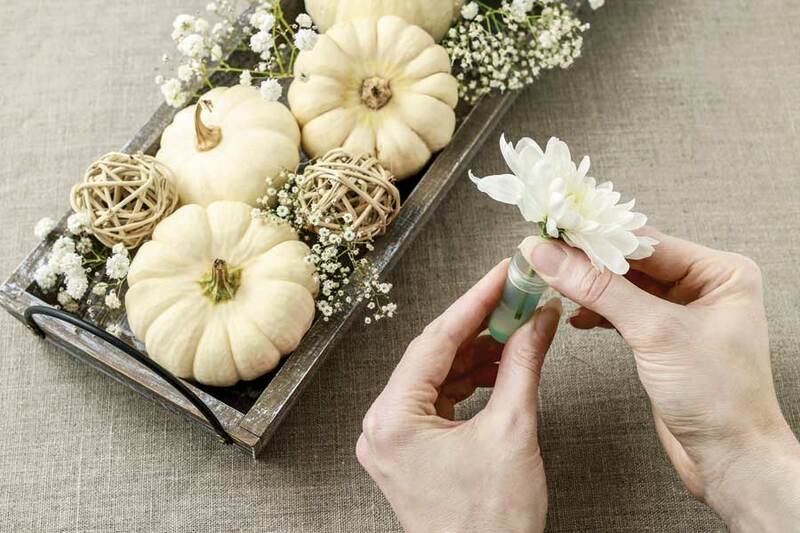 These tiny white pumpkins, called Baby Boos, offer a simple, neutral accent to any décor. 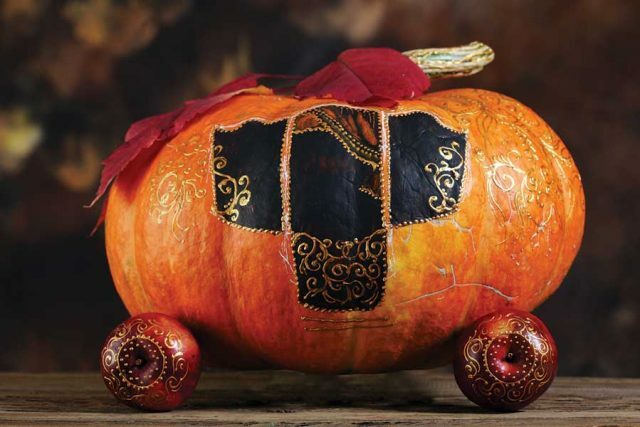 With a bit of paint and metallic markers, one pumpkin and four apples transform into Cinderella’s carriage—no fairy godmother needed. Who needs a magic wand when you have seasonal fruit? 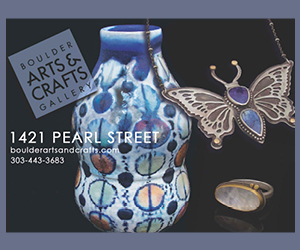 Create all sorts of sculptures for centerpieces and patio or porch decorations. 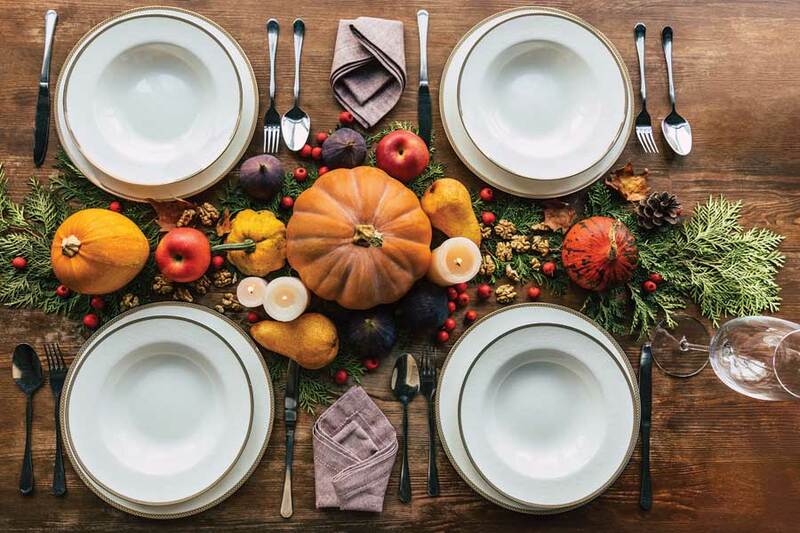 Branches and gourds create a beautifully rustic centerpiece that, unlike tall floral displays, won’t block diners’ views of each other. Accessorize with scattered nuts, fruits and pillar candles. 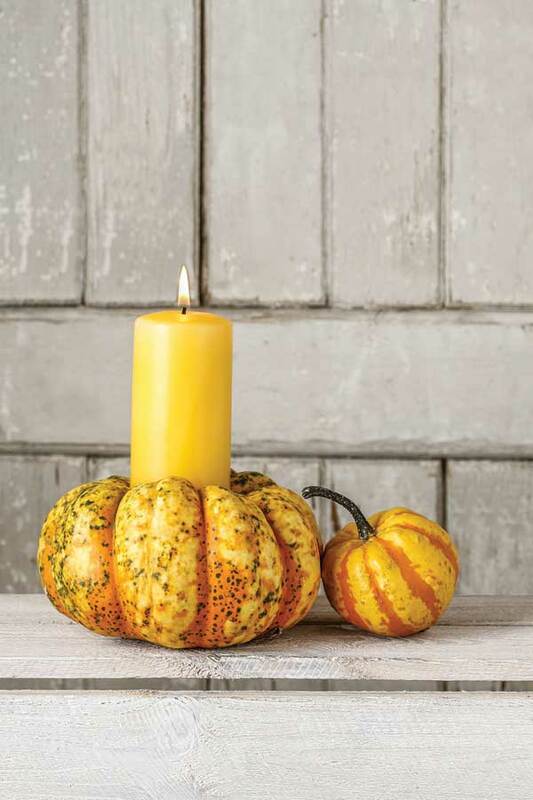 Candles naturally partner with jack-o’-lanterns, but the candle is the star of the show in this arrangement. 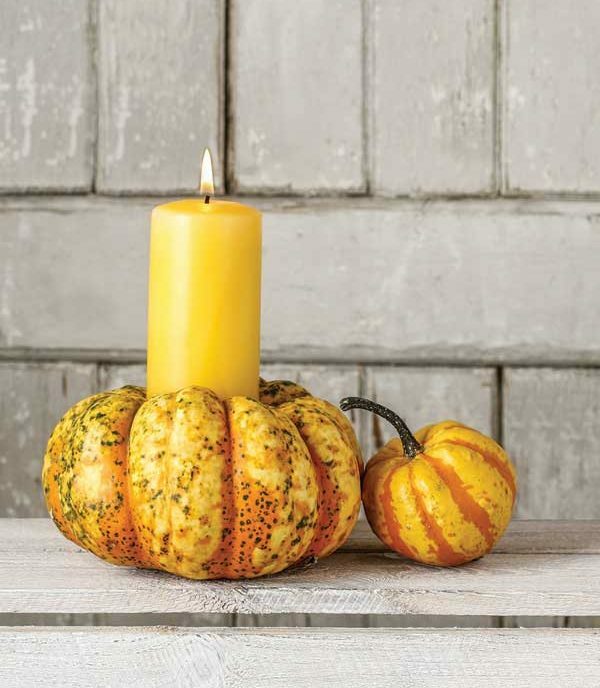 Carve out medium-sized pumpkins to hold pillar candles; votives fit perfectly inside mini Jack Be Little pumpkins. 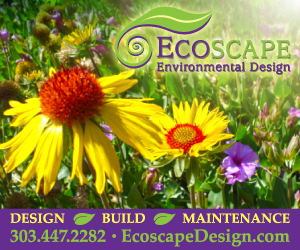 To a certain degree, external events influence decorating trends. 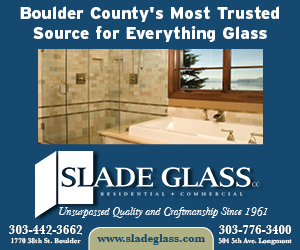 This year’s political climate, for example, is encouraging people to embrace tradition.